If you are in an interview, and your potential employer asks you this, you must reply in the affirmative. The pitfall of saying, "no." If answered with a reply of, "no" or "I can't think of anything" your potential employer is hearing, "I'm not curious," or worse, "I'm not really that interested." Indeed, an answer of, "no" could end the process with you making no further progress towards the desired position. Have at least one question prepared, preferrably 3-5. Instead of answering, "no," reply, "Why yes I do!" and follow up with your questions. Asking questions of the interviewer demonstrates an inquisitive mind, a desire to learn, and a genuine interest in both the position you are applying for as well as the company you are applying to. In addition, asking questions is the best way for you to know if this position could really be a great fit for you and your family. 1. Do you like working at the company? 2. How does the company differentiate itself from competitors? 3. What are the daily activities of someone with the position I am applying to? 4. How do you see your role playing in to the overall mission of the company? 5. Do you see yourself working at the company in five years? 6. What is one disadvantage or area of weakness in the company? 7. What is the next step in the interview process? A caveat: save questions about compensation and benefits for the end of the interviewing process. Negotiations in most sales environments takes place only once both parties are ready for the transaction to occur. Once you know what you will be doing in your new position, you will be in a much better position to obtain a higher rate of pay. Remember, asking questions does not demonstrate mental weakness, rather, asking questions demonstrates mental acuity. Don't be afraid to ask questions. Your curiousity can lead to a greater success in the job interview process. 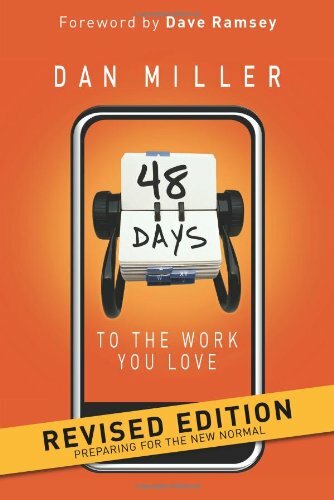 48 days to the work you love by Dan Miller has an entire chapter on interviewing which will aid in this step of the process. 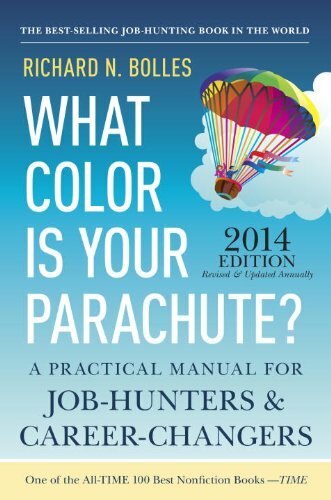 What color is your parachute by Richard Bolles is a great practical resource for the job hunter in determining where your best skills/passions/job fit.